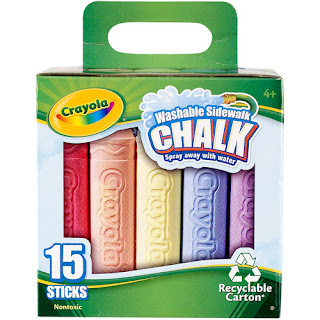 SHERYL RECENTLY BOUGHT a box of sidewalk chalk. We intend to use it at Fifth and Maine. I flunked graphic arts seven times in high school, though my lack of education never hurt me none. Keep it clean at Fifth and Maine! I can't draw to save my life. When we need something written on a sign or a sales tag, Sheryl does it, because my handwriting is terrible. Writing in cursive is a lost art, and I gave up on it a long time ago when I wrote down directions to a Macker tournament in Indiana and ended up in Wisconsin instead. But it can't hurt to try. 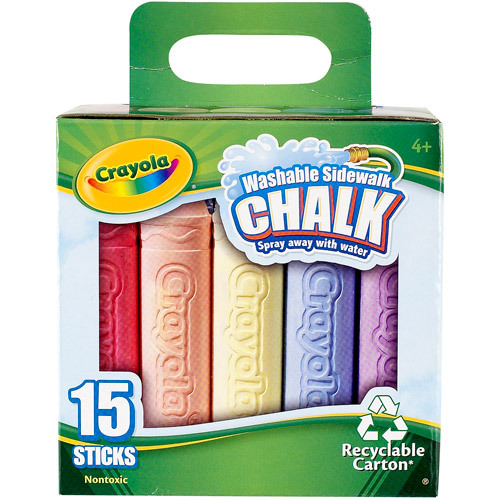 Sidewalk Chalk, of course, is the name of a late and great Quincy band, one that never let the music get in the way of a good time. So it's only appropriate. One of my guitar students got very excited when seeing the chalk. Her name is Katie Hogge and she rocks. I said, "We are thinking of doing some drawing on Saturday." She said, "I'll be here!" Then she said, "Wow, you have brown and black chalk. Those are missing from my box." Geesh. She must be a serious sidewalk chalker or something. Maybe we should do it during our regular Friday Happy Hour(s) gathering. Now THAT could be interesting, as long as we keep it clean. We are not allowed to write down the actual name of the duo formed by Ted Holt and Pete Magliocco, because it could be considered lewd conduct and a Class 4 felony, allegedly. Anyway, we'll do it on the next nice Saturday at Fifth and Maine, and make an event out of it. We use the sidewalk a lot when it gets nice out and there are events in the park, so why not decorate it and make it cool? Just keep the band names clean and the drawings creative, and we'll be fine.